3800 Burgundy Road is the last remaining example of a “gentleman’s farm” or plantation not only in Fairfax County, but in the entire Washington, DC metropolitan area. The site includes 645,904 square feet of land or 14.827 pristine acres. 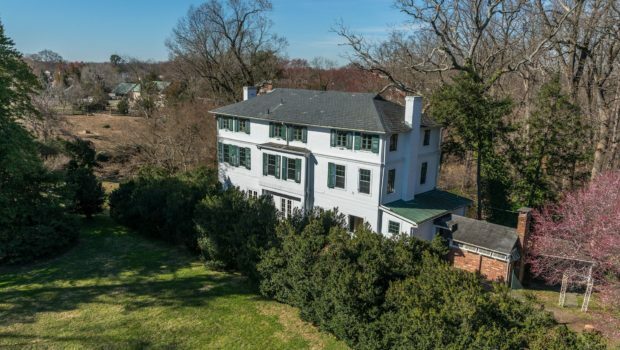 Located only 10 miles from Washington, DC, this picturesque property has an incredibly interesting history (more to be provided separately). Originally a plantation farm acquired by a wealthy Alexandria merchant, the house was redesigned in the style of a baronial, European mansion. Later the farm became a camp during the Civil War. The property was once a thriving farm that contained cattle, horses, and sheep that produced beautiful Merino wool for many years. More recently, the property has been updated to accommodate for the current owner’s needs, including an updated kitchen, bathrooms, heating and central air conditioning. The property includes additional structures that have been used to operate the farm house and could be re-purposed. Today, this private oasis sits between the Burgundy Farm Country Day School and Little Burgundy Farm Stables and is accessed via a long gravel and cobblestone driveway and surrounded by unparalleled natural beauty. This property represents a seldom available, multi-generational sale of one of Fairfax County’s historical treasures.